People are absolutely shocked by this because they never put a traffic citation in the same category as a crime. In this blog, we will explain why sometimes that is in fact the case. After reading this, you will realize that there are several traffic citations that rise to the level of a crime. Like all of our blogs, this is for informational purposes only and is not intended as a substitute for advice from a criminal defense lawyer. 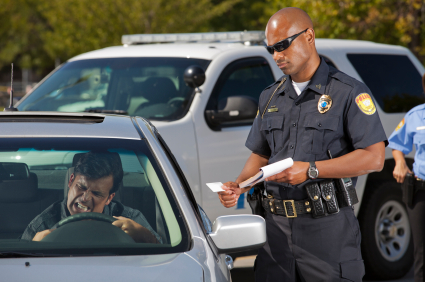 Some traffic tickets are simple infractions punishable by just a fine and some points on your license and insurance. Others,however, are in fact crimes and are punishable as misdemeanors in North Carolina. As a consequence, there are several people out there who think they don’t have a criminal record when in fact they do. Traffic crimes, like any other crimes, follow the standard that you are innocent until proven guilty, however, people fail to realize that simply paying the fine is an admission of guilt and, therefore,ends the matter. This is punished as a Class 2 misdemeanor. North Carolina General Statute 20-28 covers driving while license is revoked. This is typically a Class 3 misdemeanor, however if the licensed was revoked because of a DWIit becomes a Class 1 misdemeanor. North Carolina General Statute 20-141.6 spells out the criteria for what constitutes aggressive driving. This is punished as a Class 1 misdemeanor. North Carolina General Statute 20-217 makes it illegal to pass a stopped school bus. This is typically a Class 1 misdemeanor but becomes a Class I felony if someone was struck by the vehicle,and a Class H felony if someone was killed as a result of being struck by the vehicle. This would be governed by the North Carolina Felony Sentencing Guidelines. North Carolina General Statute 20-141.3,covers racing on public streets. In general, racing is punished as a Class 2 misdemeanor, however, if the racing was pre-arranged, it becomes a Class 1 misdemeanor. This is generally a Class 1 misdemeanor. This is generally a Class 2 misdemeanor. If you have received a traffic citation in Mecklenburg County or the surrounding areas, contact us. At Gilles Law, we handle traffic matters as well as criminal defense.